It’s going to be difficult to get through a review of Blancanieves without mentioning The Artist, so let’s get it out of the way now. Both films are European, black and white, reduced format silent films in romanticised 20th century period settings. Both are immaculately presented, with great performances and inventive use of both sound and camera techniques. Both have experienced big awards hauls – The Artist picked up five Academy Awards, including Best Picture, while Blancanieves recently swept the board at the Goyas (Spain’s answer to the Oscars), winning 10 gongs including (you guessed it) Best Film. However, it would be unfair to judge Blancanieves only in The Artist’s monochrome shadow. A retelling of the Snow White myth transplanted to the world of 1920s Spanish bullfighting, Blancanieves is a masterpiece all on its own. 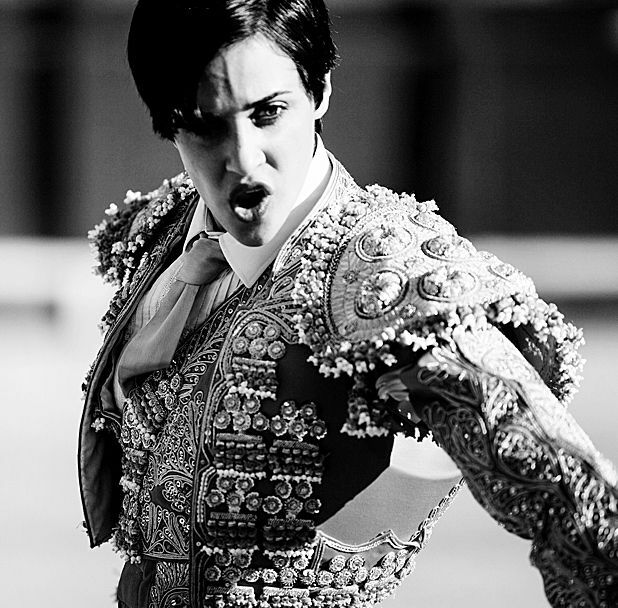 Daniel Giménez Cacho is suitably charismatic as dethroned king of the ring Antonio Villalta, and Maribel Verdú is a riot as Snow White’s truly wicked step-mother Encarna – an out-and-out villain who, suitably for a black and white film, has no moral shades of grey. The biggest praise goes jointly to the younger and older versions of Snow White herself (named Carmen in this iteration): Sofía Oria is a delight as the rebellious young girl imprisoned away from her father’s care, while Macarena García is magnetic as the runaway princess who falls in with a troupe of bullfighting dwarves. As with pretty much every edition of this particular tale, the dwarves are denied any substantive amount of individual characterisation: only the love-struck Juanín (Jinson Añazco) and the jealous Jesusín (Emilio Gavira) are given significant character arcs. Another issue is the bullfighting: animal rights activists will no doubt deplore the romanticisation of the sport, and the fact that no bulls die on-camera may only heighten the opinion that this is a rose-tinted version of brutality. But these are really only niggling complaints when it comes to the overall presentation of what is a beautiful and accomplished film. Blancanieves screened at Glasgow Film Festival 2013. It will inevitably be compared to The Artist but this retelling of Snow White transplanted to the world of 1920s Spanish bullfighting, is a masterpiece all on its own. A black and white, silent film with great performances and inventive use of both sound and camera techniques. A beautiful and accomplished film.